It doesn’t matter what you label it – annual appraisals, performance reviews, professional development reviews – the premise is the same. 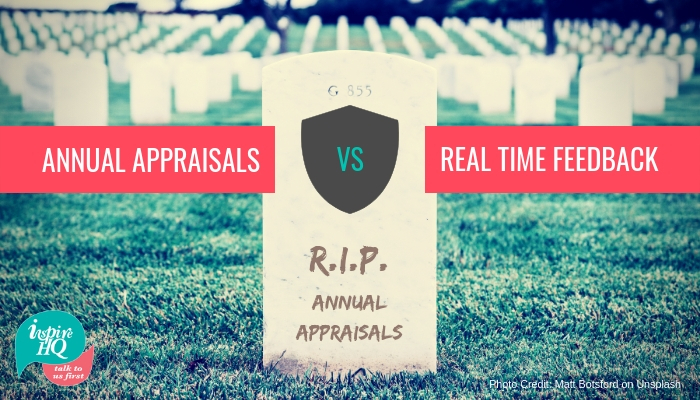 A regular catch-up (usually annually) that has traditionally been considered the best way to evaluate an employee’s performance. But increasingly I’m seeing business’ that I work with finding little value in them, and in some cases, they’ve been harmful to morale and productivity. Commonly, employees and managers find them stressful, unhelpful and time consuming. From well-known conglomerates, such as GE, Microsoft and Adobe, to local SMEs, all are making the switch to a “check-in” model where managers provide continuous real time feedback and have more frequent conversations about expectations, development and career paths. With it, the manager’s role shifts from enforcer and evaluator to coach and developer. 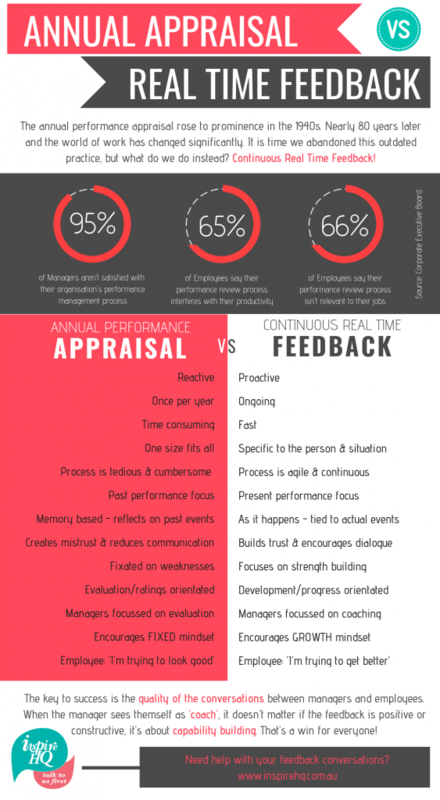 In our infographic, we look at the reasons why the annual appraisal process is no longer relevant and the benefits of real time communication in building trust and improving productivity.